It's a pretty common misconception that women with curly hair have a hard time controlling it. While we can be more prone to frizz without proper care, wild hair isn't necessarily our inevitable fate. You don't have to keep your curls extra long, or submit to the dreaded triangle cut to manage your locks. Here are a few suggestions on how to style your curls to get your best look! Thick curls: If your curls and hair strands are thick, you're going to want to go for layers. Ask for lots of layers throughout with a focus on face framing layers. This will take some of the weight off of your curls and allow them show their true texture. Wavy curls: If your curl pattern is looser with more waves, you might want to consider a bob. Bobs are extremely versatile and can come in several different lengths, which makes them customizable for your curl type and needs. If your curls need some extra volume, you can ask your stylist to add in some layers as well. Large waves: Are you one of those curlies blessed with natural beauty waves? If so, lucky you! Instead of fighting your natural pattern, embrace it! A shaggy style will highlight the best of your curls and give you a fresh look. You can add side bangs and some shorter layers in the back to give it movement and a funky, fresh vibe. 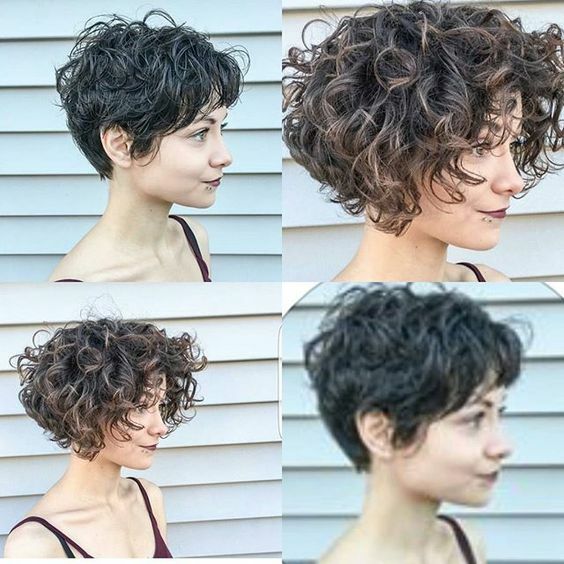 Tight curls: Many curlies get nervous at the idea of cutting off their curls. 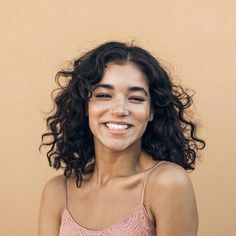 However, if you're newly transitioning to wearing your natural curls, have a lot of damage or just are looking for something fresh, consider going for a super short cut! This cut is super flattering on just about everyone, is super trendy and can be adjusted to your individual needs. Opt for sheared short sides, leaving a longer length on top for perfect styling options from classic to edgy.